So I have this unproven theory, amongst others, that the way you text is indicative of your personality. What I mean by that is that you can tell a lot about someone given the content of their texts. Texting is something we do on a day to day basis and it’s something we rarely think too deeply about, but there is more to it than what you might think. I did an assignment about this in University and did very well – yes that was a shameless plug on how smart I am – but I wanted to do this in blog form because I still feel like it is still a relevant point. I could’ve posted the assignment here but it’s far too academic and dull so I’ll surmise the most badass points. The assignment required me to look at the personal use of mobile media applications, and what that suggests about the role of cell phone messages in relation to youth culture communicate; which was a fancy way of saying “analyse your messages between your friends”. Basically I was given subheadings that I had to use as I was discussing this and because I had to hit a certain amount of words, my point became so dynamic (read: convoluted) in some sections that it even confused me – again, I’m really smart. Basically the 12 years of high school English (and for some of us that still went onto university and majored in English) was all for nought because when it comes to texting you make up your own rules. We communicate in an idiosyncratic way - sure we all say the same things but text can be about as individualised as people’s speech patterns. Sometimes when someone sends a message and then you say “I heard that in your voice”, is basically how the language used in texting can be personalized. You’re pretty much extending the characteristics of your personality into your messaging habits. The use of emoticons further establishes an individualistic way of texting. We all have emoticons that we like using, sometimes we overuse them or sometimes we don’t use emoticons at all. The emoticons you use are in some ways a reflection of who you are. Mobile messaging allows us to talk about multiple issues simultaneously or about one issue at a time. 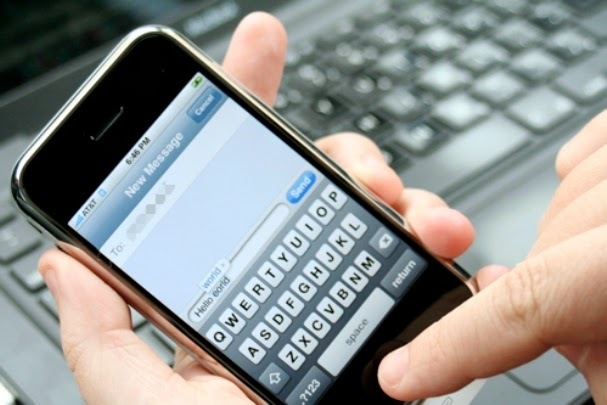 Basically three topics of conversation can be occurring at the same time when texting. This often occurs when you’re younger, or a wordy person like me, but sometimes you could be speaking about a party you attended, a funny story you heard and a movie you watched, all in one go. Looking at my messages with my friends there are instances where parts of our conversations appear fragmented and random, but in actuality they are continuing a chat we started in person. Speaking of an event you’re all going to or reflecting on something that happened when you were together. 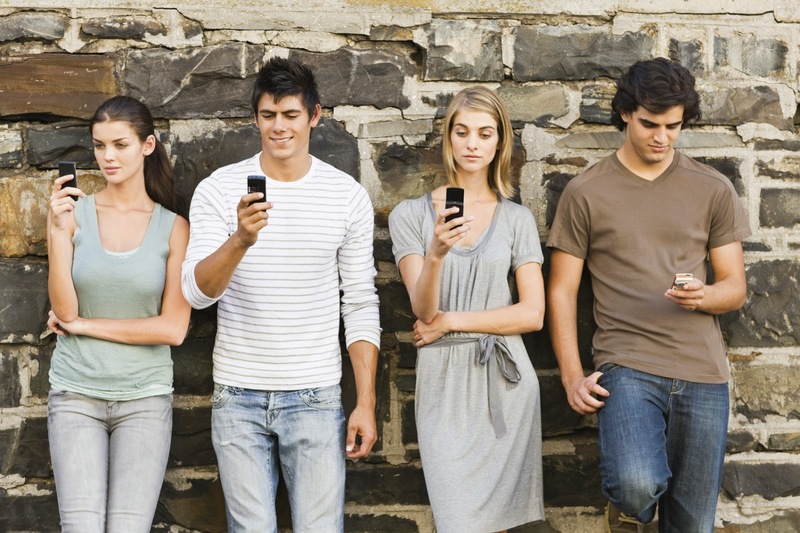 These social interactions all continue from face-to-face to text or vice-versa. Media sharing has become such a prominent feature when texting people. A large majority of my conversations deal with entertainment media in some shape of form - music, pictures, TV shows, movies or even fictional couples and actors. Entertainment news culture still continues to flouring in an economy where News media is on the decline. South Africa is interesting in noticing how tabloid newspapers are still going strong while the readership for broadsheet newspapers are in decline. In the case of the Cape Argus, the newspaper ended up adopting a tabloid look while still delivering its broadsheet style news. In other parts of the world entertainment media is still managing to keep viewers engaged. Especially among the youth there is a greater knowledge about the latest phone, game, movie or book that has recently been released and less about the state of our current affairs. If you had to ask a teenager or a young student to name 2 cabinet ministers, majority of them would not be able to name two. There is a greater interest in entertainment media as opposed to that of current affairs news. Sure all of this comes down to your personal taste but when texting there is a greater (and easier) preference for Entertainment Media than Current Affairs. Texting, it could be argued, may be one of the factors, in aiding the continuation of friendships. Distance or conflicting schedules sometimes prevent us from seeing our friends and texting can help maintain those friendships. Sometimes it can even be the start of friendships. Other people who I don’t see often, I get to interact with via mobile messaging, and it’s because of texting that I get to stay in touch with them. People expect that the chat you have with them would not be displayed for other people to see. Due to this belief, people are more willing to reveal certain parts of themselves, and speak about topics that for some may be seen as being too racy or taboo. Jokes made in private chats may be offensive to some people if they were exposed beyond the parameters of that private chats. Sometimes people still feel the need to explicitly ask the other person to not reveal something being discussed. If you do share something from a personal chat with someone, there is an understanding that it is nothing harmful or too personal that will be reveal; if it is, then asking the person’s permission is the appropriate way before revealing something from your personal chats. Let me know your thoughts in the If you have any thoughts you want to share then do so in the comments section below.